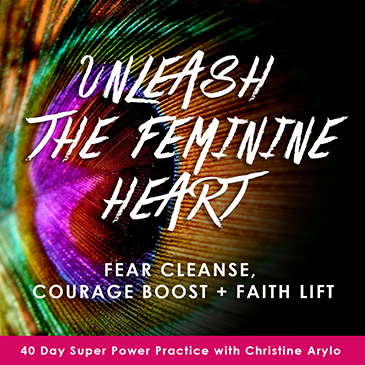 The 40-Day Super Power Self Love Practices can be taken anytime during the year. 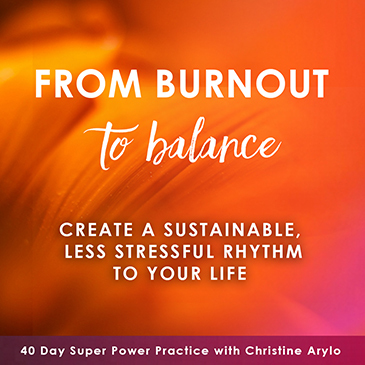 You’ll be led through the practice through weekly teachings via video/audio, daily love letters from Christine Arylo, super power practices to implement in your daily life, and you also receive access to the community Self Love Circle and online Self Love Studio classroom to ask questions, receive support and guidance and be inspired by others making shift happen through the power of self-love. Some of the practices are also offered with as practices a group of people will start and complete together. For a listing of the next group practice, check out the Programs page here. empowering, self supportive habits and realities. Cultivate strong self-care, self-pleasure + self-empowerment by breaking patterns of burnout, overwork, overwhelm, over-giving, over-caring, over-promising, and self-sacrifice. This goes way beyond a weekly yoga class or a daily green drink and gets to the root programming that leads you to over-give and sacrifice your own well-being. 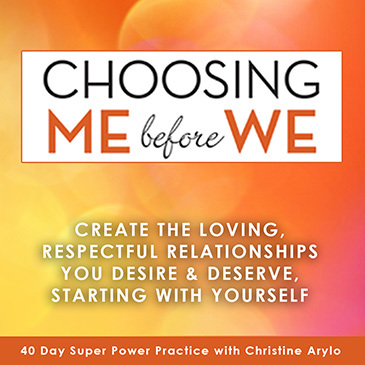 Cultivate strong self-respect, self-honor and self-empowerment in all of your relationships by uncovering the self-sabotaging imprints, inner love cracks and misunderstandings about love that lead you to create and accept unsupportive or draining relationships romantically, with family, relatives, friends and at work or that lead you to isolate, feel lonely, repeat sabotaging patterns and generally keep you from the deep, loving, supportive relationships and tribe you need to thrive. Teach you how to have boundaries, be sovereign and also be wholly open to receive love and being vulnerable even if it scares you. 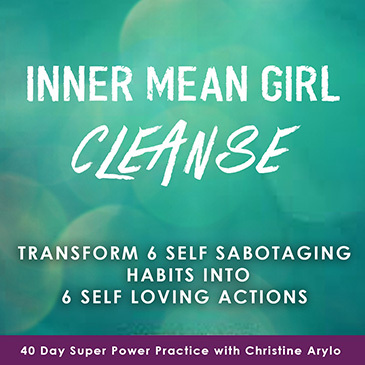 Cultivate strong self-compassion and self-forgiveness by transforming six of the most toxic, self-sabotaging habits driven by the inner critical, pushy force we call The Inner Mean Girl – including the toxic habits of Negative Self Talk, Gossip, Perfectionism, Setting Unrealistic Expectations, and Obligation. Cultivate strong self-expression, self-empowerment, self-trust, self-esteem, self-worth by diving deep into your heart to see where fear has taken over and is keeping you from fully, freely expressing yourself, from following your true desires and dreams, and from making the shifts your soul is calling for. Thank You for the Tools to Bring Self Love into Form. After three weeks of doing my morning practices everyday, the Harmony Breaks and other "small but mighty" practices, I got a shocking and visceral realization of how much I neglect myself on a physical care. Then I felt a huge leap in self-love by choosing to do all the "inner work", one small thing at a time. I could listen in from Australia and play it over & over reinforcing the messages for me, making it accessible, encouraging and fun! I loved the reminders of “how to ” stay focused on myself. The daily emails kept me on track everyday, I loved receiving them! Christine’s heart-centered approach was felt across the world. I’ve gotten more out of this 40-day adventure than any other counseling or experience I’ve had before now. Thank you to Christine who opened her heart and her emotions for people like me to learn from. I am using the information every day at work and at home, practicing and applying constantly as I go through my days. The 40-day practice unleashed a new awareness that I take with me wherever I go. I have developed a steady daily practice that centers me and gives me something to look forward to that is just for myself.